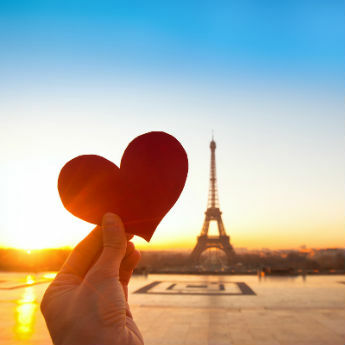 Rome is a great Valentine's break for couples who want to do a lot without spending a lot, simply because so many of its attractions are absolutely free! 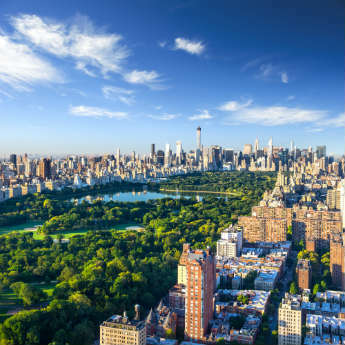 Without spending a single euro, you can visit St Peter’s Basilica, the Pantheon and the Spanish Steps, people-watch in Piazza Navona, wander around the outside of the Colosseum and the Roman Forum, and have some downtime in the tranquil Villa Borghese. Even eating out can be cheap – pick up a tasty and filling pizza slice for lunch and take advantage of aperitivo, the Italian practise of buying a drink for around €6 and getting light snacks with it for free. 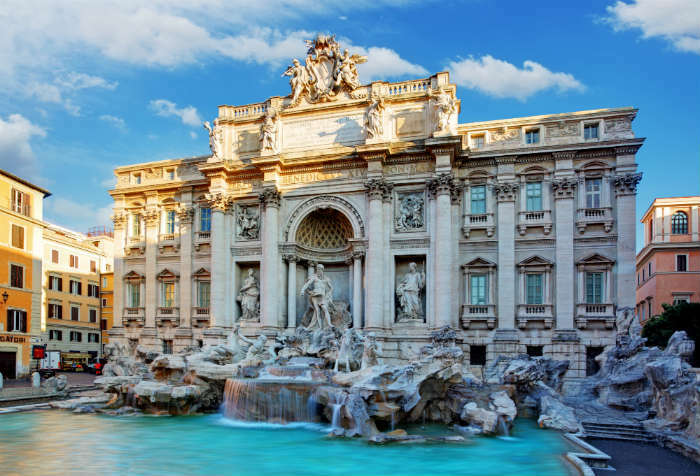 You may want to find 3 coins to throw into the Trevi Fountain, ensuring a return to Rome, new romance, and marriage (if you believe the myths). Budapest has all the quaint, crumbling charm you would expect from an Eastern European city, and the added benefits of delicious food in casual settings and an edgy nightlife make it a tempting proposition for couples who want to go easy on the romance. Forget padlocks on bridges and rose bouquets; Budapest is all about exploring historic buildings and drinking cheap beer in ruin pubs – derelict buildings transformed into bars. A lesson you’ll quickly learn in Budapest is that cheap does not mean poor quality; it’s just a way of life from hotel rates to food bills! 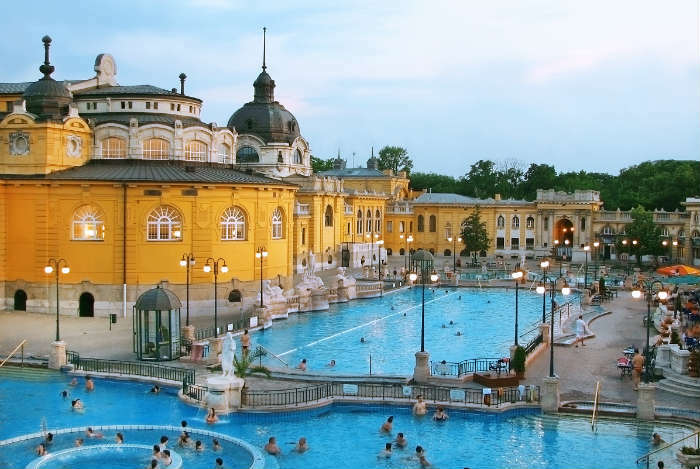 One couples activity you might like to indulge in is one of Budapest’s amazing thermal baths, where you can pamper yourself in indoor and outdoor pools for far less than any UK spa. 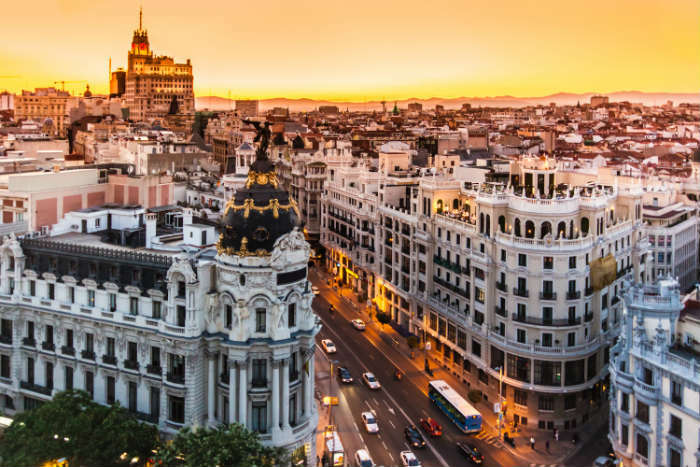 Although it’s Spain’s capital city, Madrid often gets forgotten by tourists in favour of Barcelona or the coastal and island beach resorts, and is therefore a lot cheaper than you would expect. 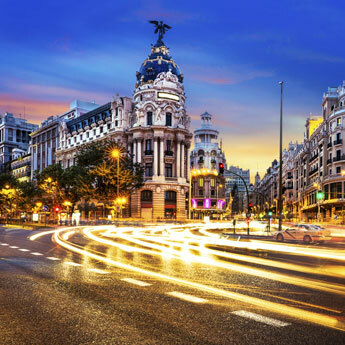 Its beautiful architecture makes it the perfect setting for a romantic city break, and couples with an interest in arts and culture will love its large number of museums and galleries. It gets better – the Museum of Public Art, Museum of Contemporary Art and National Library Museum are just a few of the cultural attractions that are open to the public for free. Also bear in mind that Spain has a tapas culture where you’ll often get free plates of snack food to nibble on when you buy drinks in a bar. Prague was found to be the best value destination in the Post Office’s 2015 Holiday Costs Barometer, so it’s a safe bet for a city break on a shoestring. While it’s not the first city that comes to mind as a romantic destination, Prague is extremely pretty and is being described more and more as ‘the Paris of the East’. 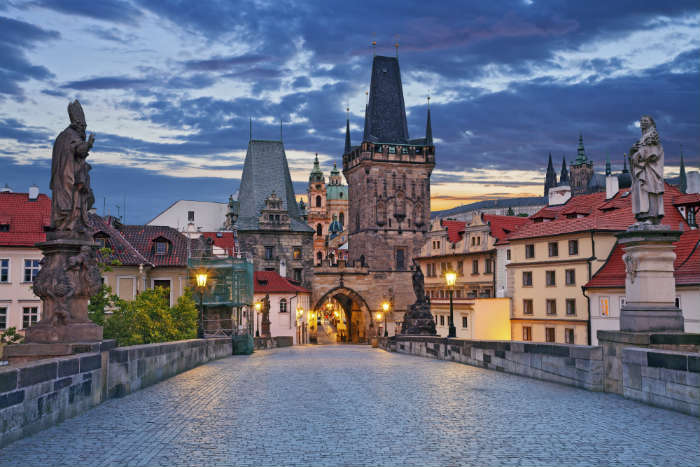 The centre is compact enough for leisurely walks hand in hand to all the major sights, and Charles Bridge is the place to be for beautiful golden sunrises. The medieval castles and cobbled streets give it a magical, fairy-tale vibe that invites you to explore and get lost among the buildings. At night you can treat yourself to a meal for 2 for less than £30, and later head to one of Prague’s cosy pubs for traditional Czech beer.